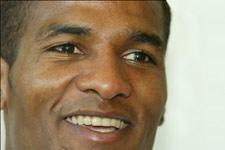 Malouda: "Everyone wants to beat us"
Florent Malouda spoke to olweb.fr about Saturday’s trip to Nice. Well aware of he difficulty of the match in prospect, he acknowledged that everybody wants to beat OL. He also talked about his call up for Les Bleus. Yes… and the match against Toulouse. August isn’t necessarily the month when Olympique Lyonnais is at its best but it’s important to get as many points as possible for later in the season. Nice haven’t made a great start to the season. We know they’re going to be fired up. Our welcome will probably be fairly tense. In terms of aggressivity and presence, the match will probably be very similar to that of Bordeaux. And that could well be the way it is all season. Every away trip will be tough. Ever since we said our number objective is to win a sixth consecutive title, everybody wants to beat us. We know what will be waiting for us everywhere we go. We’re ready and we’ll try to play our best. Yes, and I hope to keep getting better even if I don’t think I’m in top condition yet. Everyone’s talked a lot about the absence of the World Cup players. We all have to lift our game to answer the critics. At any rate, the players are well aware of the high ambitions the club has this season. Yes, it’s always a pleasure to get called up for such big games. We’ll have a good ten days together. It’s a bit like heading back to school. We know that in these qualification matches, there’s so much at stake. Do you share that view? Yes, we can’t afford to lose any points on the road. Every point will be important, so these two games are very important. We know that there are now more easy matches such as our game against Bosnia. Qualifying won’t be a walk in the park. Every team will be waiting for us, especially when you consider we’re also playing the world champions. We need to really want this if we are to qualify. Like we saw in the World Cup, it’s not easy, but it could be something incredible if you go all the way together. A third of the squad has been drawn from Olympique Lyonnais. What does that show? It’s recognition of the work OL has achieved and the value of the squad. Ever since I’ve been in the France team there have always been a fair few Lyonnias. When we all get together, we try and recreate the atmosphere we have in the club. There’s no ‘Lyon group’ in the France squad. We all fit in perfectly into the France squad. Is there a bit of revenge in the air regarding the Italy game? The game will certainly presented as such, but it’s another competition. But of course, every player from the World Cup will want to turn that result around. I don’t know if that’s really an advantage. I’m sure they won’t be taking this game lightly. Their preparation will be based on being ready for this match. Finally, you met with the club president this week. What dod you talk about? A lot of things. The club told me that they are counting on me.